Kind, sincere, funny, giving...oh, wait, that's not what this post is about! Silly me! I just love the "Words that describe me" adjective activity that I've been doing for years and see that many of you do it, too. 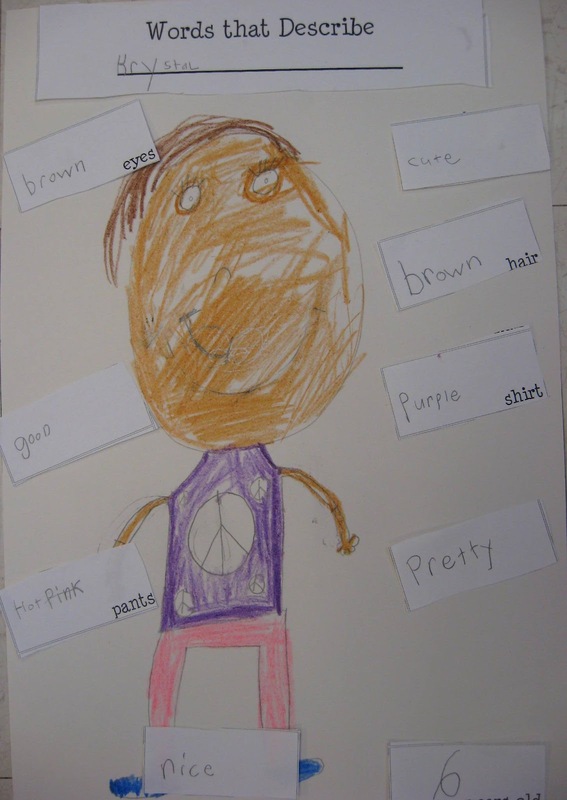 I always look forward to seeing the portraits and reading the words that the children write to describe themselves. I also have them fill out labels to describe the color of their shirt, pants, hair, etc. I promised Krista, over at Stellar Students that I would share the labels with her, so I figured I would share them here in case anyone else was interested. You'll notice that the labels I'm sharing with you today are much cuter than the ones I used in my activity. I made mine years ago, before I got all cutsie and such! I didn't want to share my plain, boring labels, so I quickly cutsied them up! I hope you find them useful. Just click on the image below to get a copy. I just wanted to share with you some of the comments I received on this post. 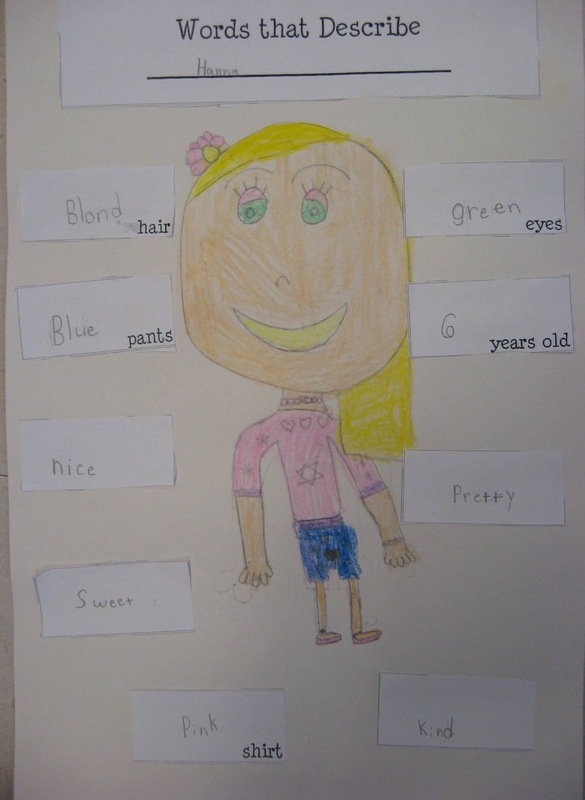 Susie Q, from Learning With Susie Q. mentioned that this would be a good beginning of the year activity. I agree and thought it could also be used at the end of the year and the children can draw a friend and label him/her with describing words. I think it would make a cute keepsake. It can even lead into a writing activity. (Example: Billy is funny because he is always making jokes.) Then, Kristy, from Teachin' First, said that she's going to have the children draw their moms and label them with adjectives. That is a super idea and I will probably do the same. I think all the moms would love this activity! Thanks for the great ideas Susie and Kristy! This post was written in response to the 5-Star Blogger Challenge posted on The Organized Classroom Blog. Make sure to click on over to see more great 5-Star Blogs! Thanks for looking! If you download my labels, please leave me a comment. I just love reading all my comments! Thanks so much! I LOVE this! Our kinders did something very similar a few weeks ago, and they look SO cute hanging in the hallway! Thanks, Jillian! 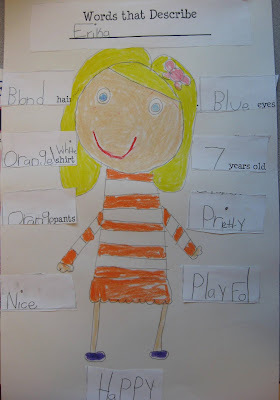 I love when kids draw self portraits. They always come out cute. My students love when I post their work on my blog so they've been working extra hard to be neat! I totally LOVE this!! I am downloading & using this ASAP!! It is so darn cute! Thank you so much for sharing it!! Jen, thanks so much for the kind comments! You will love doing this. Self portraits always amuse me! Make sure to post some pictures! Thanks so much for these, Lori! 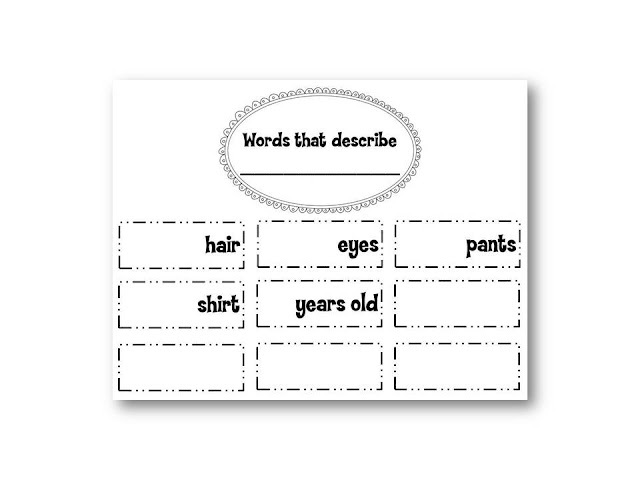 My students always need extra practice with adjectives, and this will be so much fun! I guess one good deed deserves another! I'm glad I was able to pay you back for the great Earth Day activity! Thanks again! Thanks for the feedback, Lohren! It's such a fun and meaningful activity. LOVE this! Thanks for sharing the labels Lori. I can't wait to add this to my adjective unit for next year. Thanks for the shout-out too! I'm glad you found them. Enjoy! I LOVE these! This would make a great beginning of year activity. I'm sooo going to do this. That's a good idea to do it at the beginning of the year. It gives me a good idea. 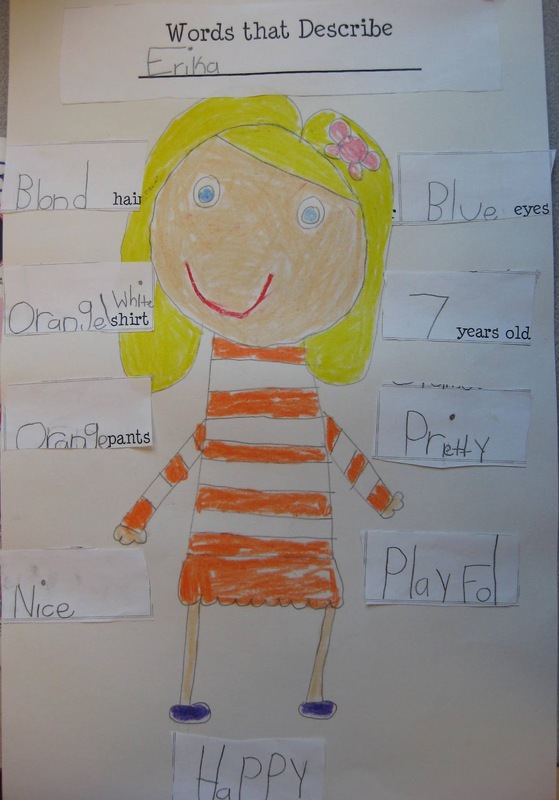 It can be done at the end of the year, but the children can choose a name and draw who they chose and write words to describe them. I'm in! Just saw this and am going to use it this week--we are doing our adjectives unit now! 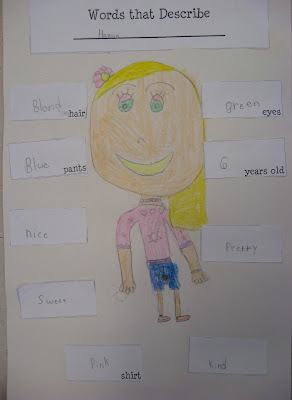 I also love the idea of having the students do it about themselves at the beginning of the year and then maybe have them choose a classmate or someone else at school to do it for at the end of the year when we actually study adjectives. Thanks for sharing! Super Cute Idea! Thank you for sharing! This is such a cute idea! I'm going to do it next week, but instead of having the kids draw and describe themselves, I'm going to have them draw and describe their mothers for a cute Mother's Day project! Thanks for sharing! Kristy, that is a brilliant idea! I may have to do the same! Definitely a 5-Star Blogger! Thanks so much for linking up! That means a lot to me! Thanks so much, Charity!